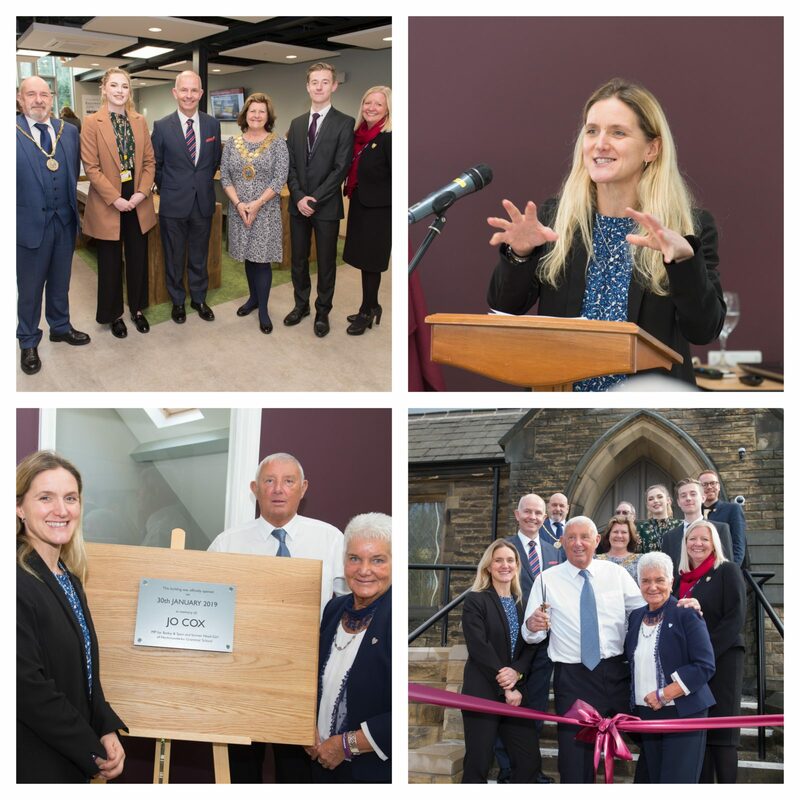 On a proud day in the school’s long, 120-year history, on Wednesday 30 January we were delighted to formally name our new sixth form social and study facilities the ‘Jo Cox Centre,’ in honour of our former Head Girl and MP for Batley & Spen. The emotional occasion connected the school’s past and present, as the current senior committee chatted with old scholars (Jo’s sister and parents among them) and former staff, as well as distinguished guests from across the school and wider community. In a poignant speech, Jo’s sister, Kim, spoke eloquently about Jo’s personality and connection to the school, as well as the enduring legacy of her moral and political values, which are best encapsulated in the now-famous line that holds pride of place among a series of wall displays in the Centre: ‘we have more in common than that which divides us.’ It is our hope that the Centre that now bears Jo’s name will serve to help promote Jo’s qualities of studious hard work, compassion and humanity for years to come. As might be expected of such a high-profile event, the local press were very keen to report on the events of the day, and students and parents may be interested in this excellent piece from the Yorkshire post, published on the evening of 30 January.